Gitzo monopods continue to set the standard for professionals and advanced amateurs. The carbon fiber range has been completely revised with new features and materials in order to offer lighter, faster and more stable products. Gitzo's Anti Leg Rotation system And latest generation 6X tubes are now available on all Carbon fiber models. 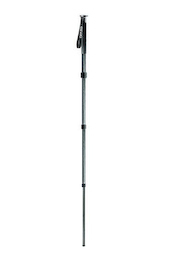 Thanks to ALR, monopods are now incredibly fast to operate and the height can be easily and precisely adjusted. Carbon 6X crossed layer tubing makes carbon fiber models surprisingly light and even more convenient for transportation. All new monopods come with a convenient anti-dust bag for storage and packing.